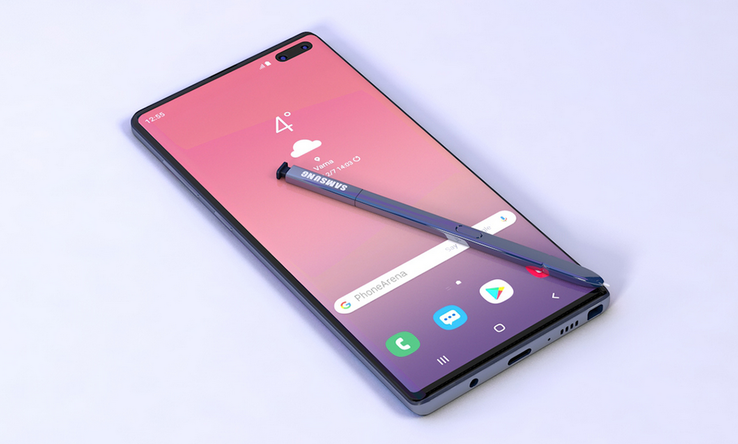 Some artistic concept renders of the Samsung Galaxy Note 10 have been created and published by Phone Arena. The impressive images have been based on some rumors that have already started appearing about the expected flagship, along with an amount of artistic license. The Note 10 could feature a rear-facing quad camera setup. There’s no denying the new Galaxy S10 range from Samsung consists of well-crafted and beautifully designed flagship smartphones wielding the specifications you would expect from them. However, top-end smartphones from major manufacturers have their time in the sun and then have to move out of the way for the next big thing. Huawei will soon be dropping some P30 bombshells on us, but Samsung has another flagship smartphone (phablet) waiting to make an appearance in 2019: the Galaxy Note 10. Little is known about the Galaxy Note 10; even the expected name could end up being something completely different. The device has the codename "Da Vinci" and is rumored to be coming with a large 6.66-inch display that offers a 19.5:9 aspect ratio. 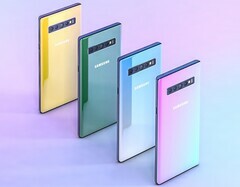 A common rumor about the potential Note 10 is that it will sport four cameras on the back, similar to the 5G-enabled Samsung Galaxy S10. The concept renders show the Samsung Galaxy Note 10 in yellow, green, blue, and pink. There is a punch-hole dual selfie camera setup at the front, and it is expected the device would offer an ultrasonic in-display fingerprint scanner. Basically, the specs would be similar to those of the devices in the S10 series but slightly beefed up, as is appropriate for the Note series. A possible interesting addition for the Note 10 could be a camera in the S-Pen input device (based on a patent), but it’s also possible the phablet will do away with the 3.5 mm jack.